On this 100th anniversary of the sinking of the Titanic, I am reminded of the half-scale facade of the Titanic Museum in Branson, Missouri. 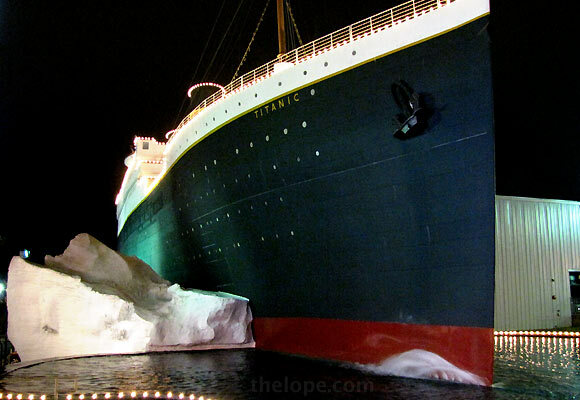 Though icebergs will never endanger this structure, I do hope it can avoid tornadoes. "Zero-G and I Feel Fine"